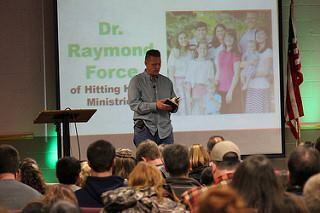 March 17th, 2018 – How to Fight for Your Marriage – Missouri Marriage Conference, Cuba, MO. Find out more details here. This event is Sold Out. Waiting list available. June 15th, 2018 – How to Fight for Your Marriage – Marriage Conference, near Gainesville, GA. This event is Sold Out. A waiting list is available. More details here..
July 28th, 2018 – How to Fight for Your Marriage – Marriage Class, Philadelphia, PA. This event is Sold Out. A waiting list is available. More details here. August 4th, 2018 – How to Fight for Your Marriage – Dallas Marriage Conference, Dallas, TX. This event is Sold Out. A waiting list is available. Find out more details here. November 3rd, 2018 – Orlando How to Fight for Your Marriage – Marriage Conference, Orlando, FL. This event is Sold Out. A waiting list is available. Find out more details. March 23rd, 2019 – Columbus How to Fight for Your Marriage – Marriage Conference, Columbus, Ohio. This event is Sold Out. A waiting list is available. Find out more details. 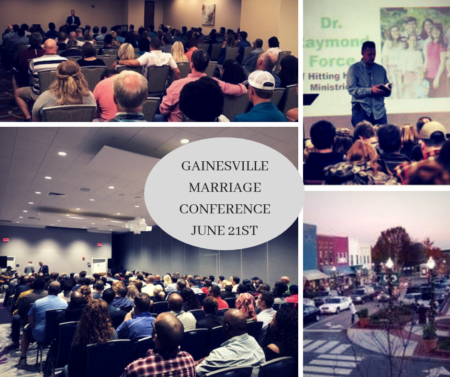 June 21st, 2019 – Gainesville How to Fight for Your Marriage – Marriage Conference, Gainesville, GA. Find out more details. Besides the March event in Columbus OH, are there any other events scheduled for 2019? We are working on two events. One may be in Gainesville, GA and the other will probably be in Texas. But, we are not sure at this point. Sorry, but this year, we are only scheduling 90-120 days out. What about Florida? We just had one in Orlando though. Sorry. Yes!!! 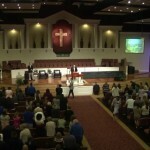 We are actively working on a conference in Gainesville, GA for June. Details should be coming soon. Would your church be interested in hosting an event? Any around Minneapolis, Mn or Rochester, Mn coming up or in the future? Not at this time. Ask your church if they want to sponsor an event. It’s easier than you think. Any conferences in South Carolina? We have one in Charlotte, NC in February. Any info on the north Ga conference yet? The registration link will be released on Thursday at 10 am on this page. The conference will be on Friday, June 15th from 6 to 9 pm. The cost will only be $15. Nothing as of yet, however, it is not as difficult or as costly as most would think for a church to host one of our conferences. Any conferences in the North East? New York/New Jersey area? Are there any events coming close to Texas? Stay tuned. We are planning a conference in the Austin, TX area. Any more conferences scheduled after the May 21st one in FL? We are planning a one-day marriage class for August 5th in Ocala, FL. We will notify you of the details via email. I need an event. I have the books and the cd but with only one willing to put firth the effort. I see nothing after thr Florida Shindig. Any upcoming events? We just scheduled a conference in Columbus, Ohio for February 24th-26th. A registration link should be available soon. Sign up for our newsletter for updates. I’m interested in Columbus event. That has already taken place. Sorry. Where can I find a list of locations and dates for your upcoming conferences? Your books have been a blessing! 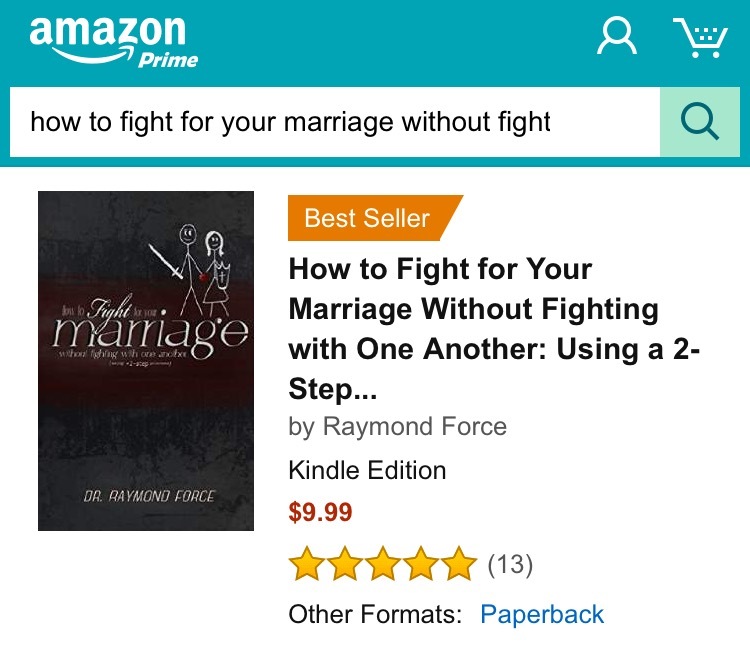 I purchased the 3 cd’s how to fight for your marriage… Does the book have additional information not covered in the cd’s or is it about the same as? And the E course…is it also more information or covered in the cd’s?